The Alpha Mane Aftershave Splash Plus was specially formulated for those concerned with ingrown hairs and acne caused by shaving. It help rid of the dead skin cells, which also aids in the reduction of shaving bumps and irritation. If you want that “plus” treatment in an aftershave, this product is a must buy. For external use only. Directions for use: Thoroughly rinse your face with cold water after shaving and pat your face dry. 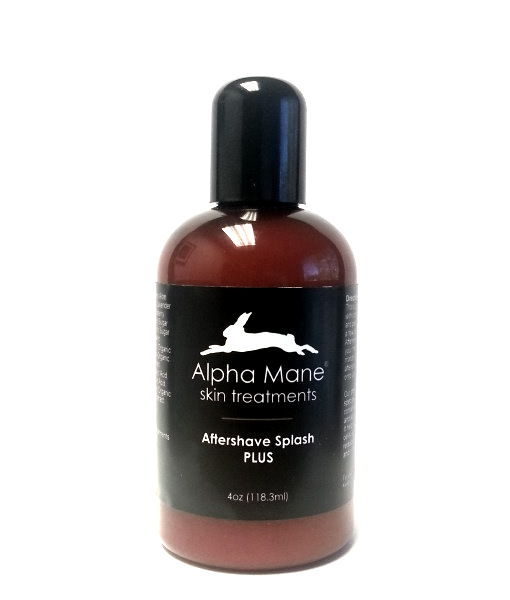 Shake a few drops of Alpha Mane Aftershave Splash Plus into your hand. In a downward motion, gently stroke the aftershave from your hands onto your face and neck.